ETSA has a fantastic reputation for its well-established training programmes and its excellent track-record of induction. ETSA’s commitment to ensuring that all trainees, regardless of subject or route, are able to benefit from the experience and expertise of the very best practitioners makes it an excellent place to train and procure employment once qualified. For the past three years, the vast majority of ETSA trainees have secured their first qualified teacher role within the Alliance upon completion of their training year. 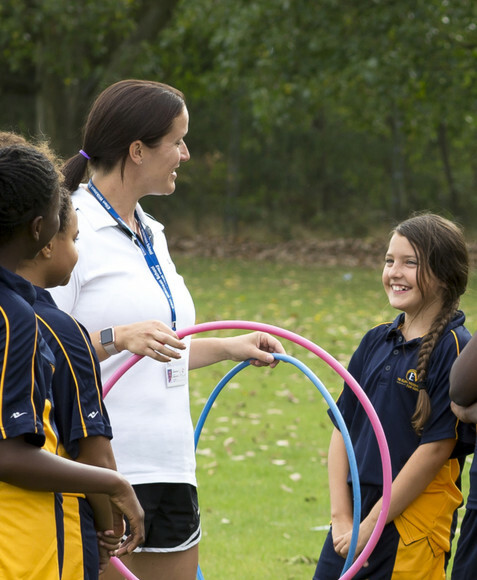 The Ellen Wilkinson School for Girls School is committed to transforming the lives of young women through a persistent focus on successful learning and outstanding teaching. Our distinctive ethos enables our students to flourish and become independent and resilient people. We are looking for exceptional candidates to join us as part of the School Direct Programme. School Direct is a great route into teaching. It enables you, as a trainee, to have complete control over your main placement school. You also benefit from a 6 week placement in a contrasting school. This means you begin to build a relationship with our students from the very start of the process. Furthermore, for the majority of trainees there is a job at the end of the training year. We are looking in particular for graduates for our salaried School Direct places in maths, chemistry, and physics, but unsalaried places are available in many other subjects. You should have at least a 2:2 class degree in a relevant subject. Some candidates may also be eligible for a scholarship.